Growth is a process that takes purposeful positioning. God often chooses to bring growth into our lives through other people, where we are encouraged, challenged and sharpened. I urge you to consider being a part of what God is doing here in Randallsville by joining a group. I believe you will experience God's heart as He connects our hearts together, so we can reach the world for Him! Day: Every other Wednesday night @ 6:30 p.m.
Day: Sunday after church @ 1:00 p.m.
Day: Every other Sunday after church @ 1:00 p.m.
Day: Every other Tuesday @ 7 p.m.
Day: Every Friday @ 10 a.m.
Day: Tuesday night @ 6:30 p.m.
Day: Thursday mornings @ 6:00 a.m.
Day: Wednesday nights @ 7 p.m.
Day: Sunday @ 6:00 p.m.
Day: Thursday 10 a.m. & 7 p.m.
Day: Every other Wednesday @ 6:30-8:30 p.m.
Q: Why should I attend a Connect Group? A: To fellowship with others and encourage frowth in the Lord. Q: How long do Connect Groups meet? 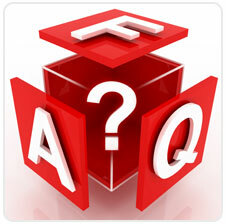 A: Generally about 1-2 hours weekly or by-monthly. Q: What does "Everyone Group" mean? A: A group that is not gender/age specific. Q: When can I join a Connect Group? Q: What are others saying?